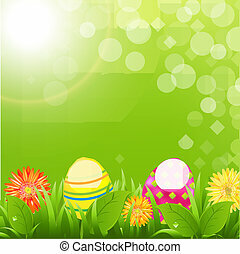 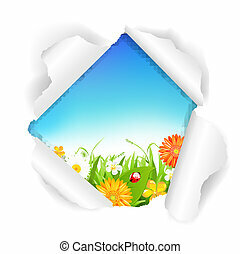 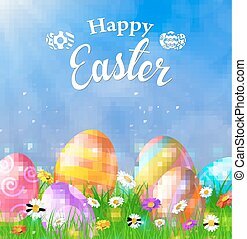 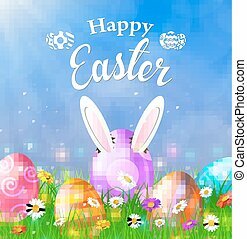 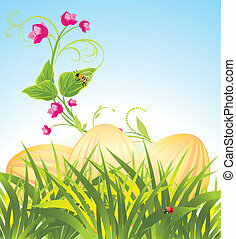 Big green grass set with flowers and easter eggs with gradient mesh, isolated on white background, vector illustration. 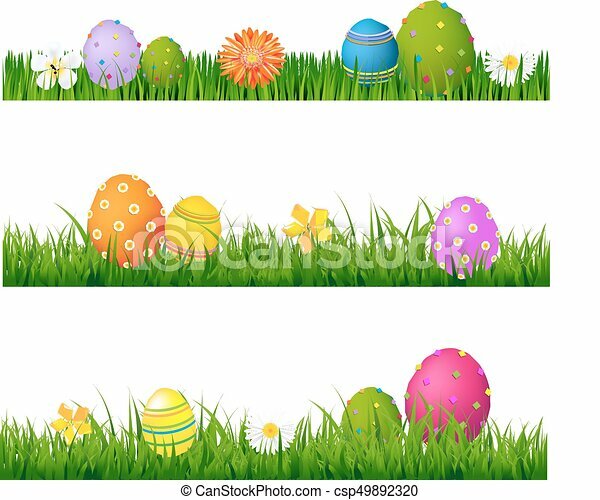 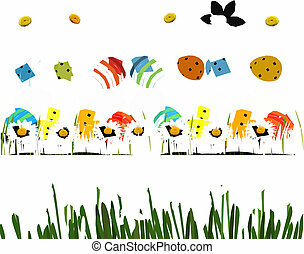 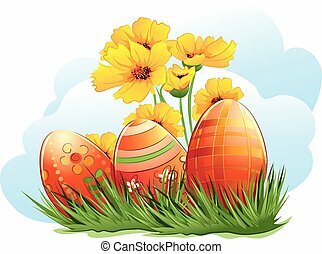 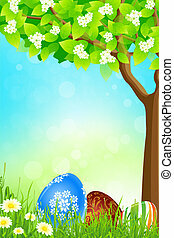 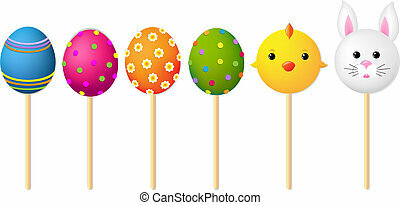 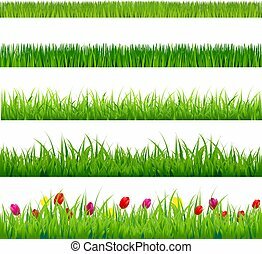 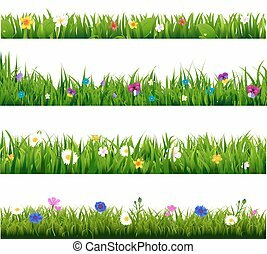 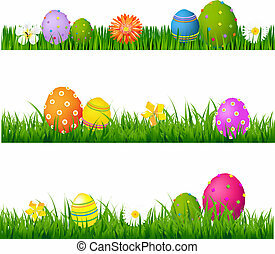 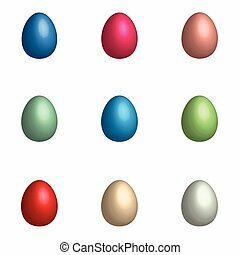 Easter eggs in a grass with flowers, illustration. 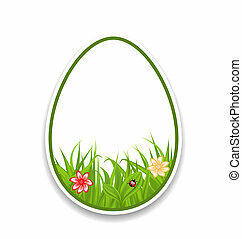 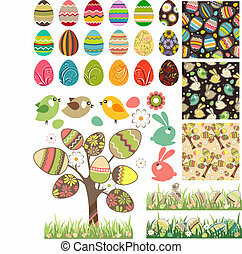 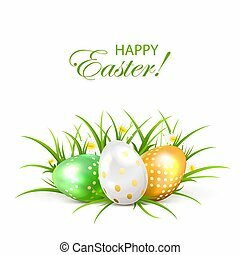 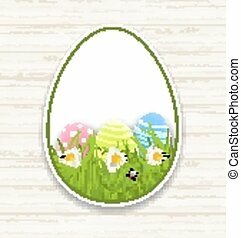 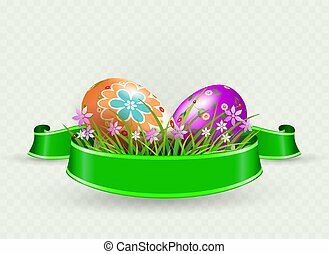 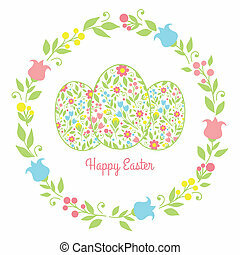 Easter composition with eggs, green ribbon and grass with flowers, design element.